The continental population of Northern Pintail appears to be decreasing significantly, according to a recent analysis of Christmas Bird Count and Breeding Bird Survey records conducted by National Audubon Society scientists. It is possible that the North American population has decreased by as much as 77 percent in the last 40 years, although there is insufficient data about this species to be highly confident in the actual magnitude of the population decline. The trend, however, is considered statistically significant. 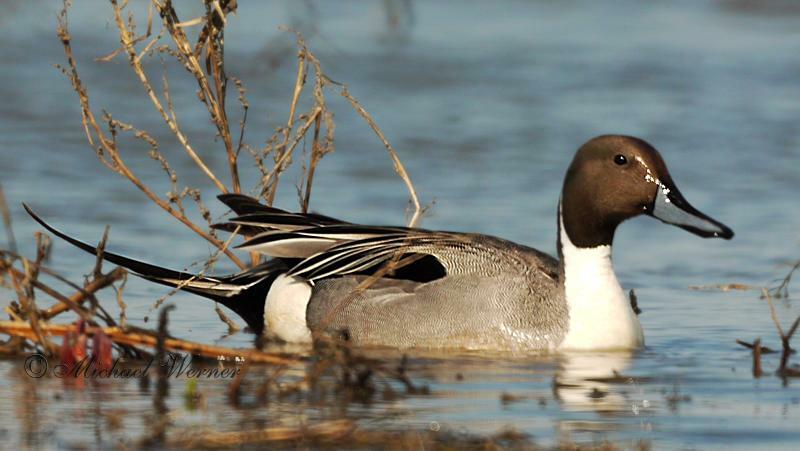 The Northern Pintail is a regular spring migrant, pausing briefly in the flooded fields of Casey, Hilliard, and surrounding townships for a short period each year on its way north to its breeding grounds on the Hudson Bay Lowlands. It is much less often seen in Timiskaming on its return south in the fall.